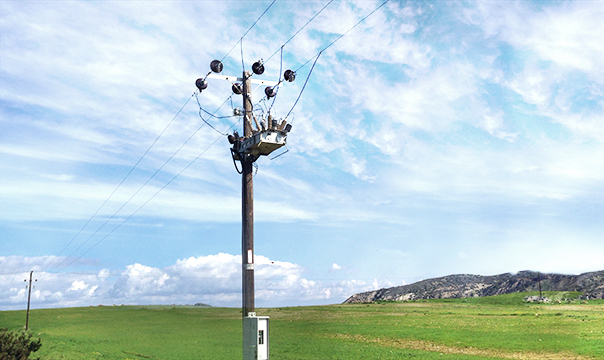 Earth Fault Protection is a fundamental protection technique in modern distribution networks. With approximately 80% of electricity supply faults on the distribution grid attributed to this class of network failure, it is unsurprising that substantial research and effort has been committed to resolving the challenges this presents. Traditional resistive or solid earthing techniques have been generous in supplying fault current for protection operation, but these network designs are falling out of vogue in lieu of safer alternatives. Compensated Neutral Earthing scheme designs are rising in popularity as they provide lower fault energy at the site of the fault and thus provide a safer alternative. The setback is that they reduce the fault currents that traditional protection schemes use to operate. With the latest iteration of the NOJA Power OSM Recloser Firmware, the Switchgear Manufacturer has unveiled a new class of protection aimed at providing earth fault specificity and selectivity in a climate of diminishing fault currents. As a quick primer, Figure 1 demonstrates the fundamental difference between Resistive and Compensated Neutral Networks. Earth Faults are the result of one or more of the phases being shorted to earth. In electricity, current only flows through a completed circuit, and Earth Faults are no exception. In traditional Resistive or Solidly Earthed networks, the fault current simply flows out through the fault site, through earth and back up through the transformer star point. The key complication here is that powerlines act as a capacitor too. Quite simply, powerlines are insulated from the ground, and the field effect in the powerlines cause current effects in the earth below. While the effect is small on short powerlines, it grows linearly with the length of the lines. Earth Fault Protection is usually achieved by either reading the Neutral current, or virtualising it by summing the three phases together. Healthy lines have very little earth leakage, while in traditional earthing schemes, earth faults can have considerable magnitude. Classic earth fault relays simply operate on this imbalance current. However, this traditional earthing scheme provides far more current than is desirable to fault locations. Since earth faults magnitude relies on the impedance of the earthing scheme, engineers have been modifying this design to reduce the magnitude of earth fault currents, whilst maintaining safe operating voltages. A simple, classic innovation was the addition of the “Petersen Coil”. Since earth fault current was entirely a combination of the Resistive and Capacitive current, the theory went that earth faults can be mitigated by removal of the Transformer Resistive Earth, replacing it with a tuned inductor. In theory, provided the inductance matched the line capacitance, the fault current would equal zero. In practice, this isn’t truly achievable, as real-world inductors have inherent real resistance and no line can be perfectly compensated, but the effect is still dramatic. Earth fault currents can be reduced to the order of a few percent of what would be expected for a solid earthed scheme, improving safety but destroying sensitivity. It is in this realm that innovation in protection schemes must be delivered. An added complication is the latest addition of Active Compensation schemes, whereby compensation is achieved by injection of energy at the star point of the substation transformer to drag the power delivery vectors back in line. This emergent technology is more precise than classic Petersen Coils, and provides even greater reductions in Real earth fault current. The primary point of concern under diminishing earth fault currents is to maintain effective detection. When fault currents are so low, neighbouring feeders might also show symptoms of an earth fault, simply caused by the capacitive effect of their own lines (Figure 1-2). The key is to accurately detect which feeders have “real” fault current, and which have “reactive/capacitive” current flow. Achieving accurate earth fault protection is a challenging prospect in Compensated Neutral Networks, but with NOJA Power’s Relay 1.20.0.0 Firmware in their OSM Recloser System, the challenge is no longer insurmountable. The added functionality enables users of Compensated Neutral Networks to detect earth faults with a high degree of confidence, providing safety and reliability to the end user. To find out more about a free upgrade to your Recloser Controller firmware or to join the NOJA Power User Group, contact your local NOJA Distributor or visit www.nojapower.com.au.